What has made the Black Panther a shot in the arm for most black people on earth is the freedom that the technological enclave of Wakanda provides - they were designed to be more advanced than most white nations. The Super Eagles can create 'Wakanda' in Russia in about 100 days' time if they assume some five lessons ingrained in the movie. Over five appearances and 18 matches at the World Cup, the Nigeria national football team, the Super Eagles, have won just five and lost 10, scoring 20 goals in the process. Their best tournament has been the ouster by Italy in the second round at USA 94 where the Eagles led the three-time world champions until the 88th minute. Roberto Baggio equalised and scored the winner from the penalty spot in extra time despite the Azzurri down to 10 men. Their sixth appearance at the Mundial kicks off on June 17 against Croatia, who on current personnel and FIFA rating, is expected to win. But this is football and it is all about the 90 minutes! Many will remember Austin 'Jay Jay'Okocha and Sunday Oliseh held the fort in midfield against the very experienced Italians. Okocha was 20 while Oliseh was just 19. But they more than held their own for 88 minutes. Based on current form [my judgment], the starting midfield trio for the Eagles against Croatia would be Mikel Obi, the captain at the base with Oghenekaro Etebo and Wilfred Ndidi as the tacklers and runners ahead of him. While Obi is almost 31; Etebo and Ndidi are 22 and 21. The quality and experience index has also improved as against what Okocha and Oliseh boasted in 1994. Etebo and Ndidi have been playing in Europe for at least two years and have over 150 league matches under their collective belts. They have also been to world football tournaments and excelled. Ndidi was a part of the victorious 2013 U-17 World Cup and Etebo was a star performer for Nigeria at the 2016 Rio Olympics, where he scored four goals in the match against Japan. Historically, the black man is supposedly physically stronger than his white counterpart. One of the main features of the 1994 World Cup squad was their immense physicality. The defensive unit that comprised Peter Rufai, Augustine Eguavoen, Chidi Nwanu, Uche Okechukwu and Ben Iroha could be considered as physical specimens. After playing more than 40 matches each for their European clubs, most of the players would need a scientific plan to rehabilitate and get them in peak form for the challenges that Russia portends. Finidi George revealed to FIFA that the major reason for the loss to Italy in 1994 was concentration while believing the job was already done with two minutes on the clock. "The game is never finished until the referee blows the last whistle. You don't rejoice. We were holding the ball, playing tap-tap-tap, and we just lost concentration. When you have players like Baggio, they punish you for mistakes like that." Croatia, Iceland, and Argentina have players like Baggio, who play at the highest and will seek out every weak chink for commensurate punishment. That same malaise led to the team's ouster from the 1998 edition when handlers of the team did not curb thinking of a quarter-final clash against Brazil when they had not beaten their round of 16 opponent, Denmark. The 4-1 defeat on June 28 remains the worst defeat suffered by the Super Eagles at a World Cup. They must win together and lose together. We already know that a house divided against itself cannot stand, which is why the tour embarked on by Rohr will pay dividends in Russia. Going to meet individuals at their clubs shows the coach considers them very important. Tunde Adelakun, one of the members of the newly constituted Nigeria Football Federation Technical team told PREMIUM TIMES that this group is the most united he has seen in a while. The relationship between the players is "very cordial", he said. "One unit. I do remember a time years past when there was a bit of segregation in camp - and some were deemed 'senior players' and others not. Today's Super Eagles, all players are one. They relate to each other in very friendly fashion with no barriers. The respect is there and no one oversteps a mark. It is great camaraderie." Working together will give them strength to conquer those teams that are not as united because they will play for one another. All the 32 teams going to Russia are different. They may deploy similar formations like 4-3-3, 4-4-2, 4-2-3-1, etc. but the players that would interpret these formations are quite different. 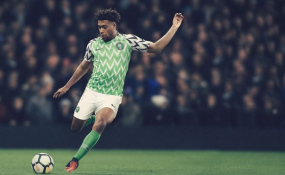 The No.10 role as executed by Okocha is clearly different from that of Mikel Obi, therefore, the manager, Rohr has to be able to think outside the box when he faces first round opponents in Croatia, Iceland, and Argentina. One question Rohr will have to answer would be how to deploy someone like Kelechi Iheanacho in his desired 4-3-3 formation? This would need outside the box thoughts but that is why he earns the big bucks. It is 100 days to the start of the World Cup in Russia and Rohr must be pleased with the performances of most of the players that will be chosen. They are playing, scoring goals and churning out great performances. We will thus continue to dream that this set of players will break through the glass ceiling. Russia, here we come!